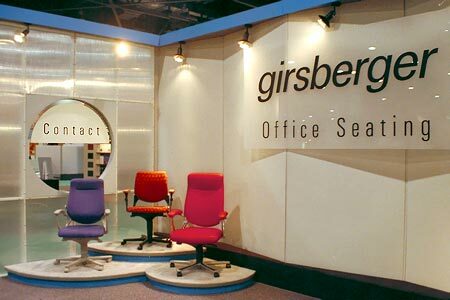 For the Girsberger showroom in the Pacific Design Center I had introduced the company to the idea of creating "produt zones" within the display area so that each product group could be highlighted according to its place inthe overall product line. 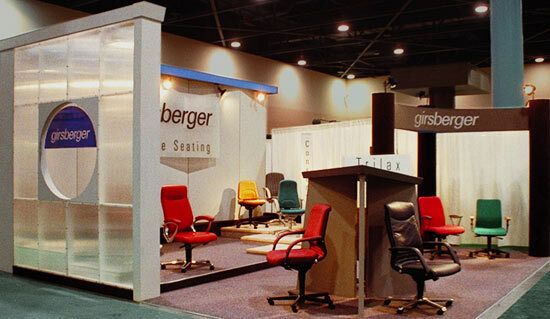 Although each product group had a distinct name, and its own pricepoint, style and functional attributes all of product had previously been displayed in simple rows, so that the showrooms tended to look like an undifferentiated group of chairs. 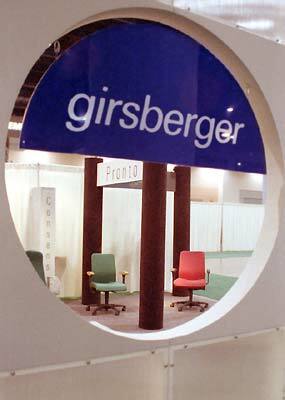 With the sucess of the 1994 showroom Girsberger invited me to create a portable, reusable trade show booth using the same design principles. 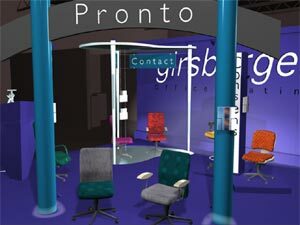 The booth was also designed to be "upgradeable" and "updatable" every few years, as the product line evolved and public taste in styles changed. Time and budget constraints dictated that after an initial meeting with the client I wouldn't meet with them again until the project was completely constructed. 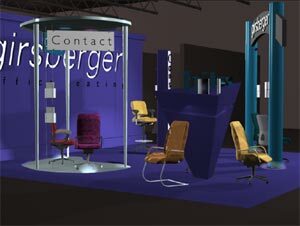 To help insure that the client understood and approved the project design I produced a computer-generated animated fly-through of the proposed booth design. 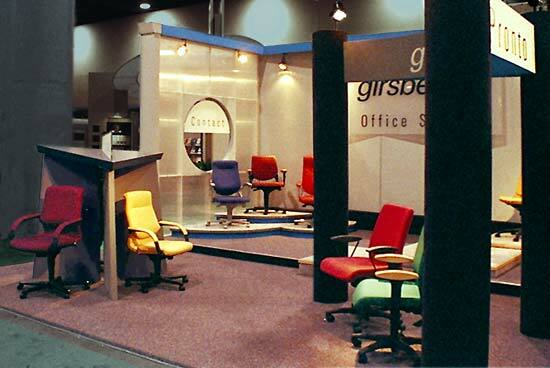 In 1995 CG-flythroughs were not componly created for modest and small-scale projects, and there was no easy way to deliver computer-based media to the client (in North Carolina) from Southern California. So I created the flythrough as an animated flipbook. 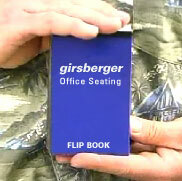 Girsberger could study individual frames with out having to pause a video tape or deal with Quicktime movies over the internet, technology that the client had no experience with.